Drakerz Confrontation, an augmented reality trading card game, is now available in the United States. Drakerz, the first augmented reality trading card game for PC, is free to play and is available on Steam. 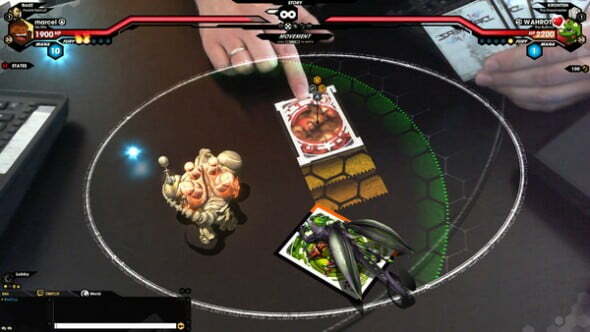 The trading card game from French developer Peoleo Entertainment, also available at Drakerz.com, combines a free-to-play PC game with augmented reality. In the game, players (called Drakerz) collect premium, physical cards. Collecting the Drakerz Confrontation cards is at the heart of the gaming experience. Each card bears a sort of special effect or ability, ranging from creating armor to casting spells. Players determine their strategy based on the cards that they select. The trading cards are now available for purchase on Drakerz.com. 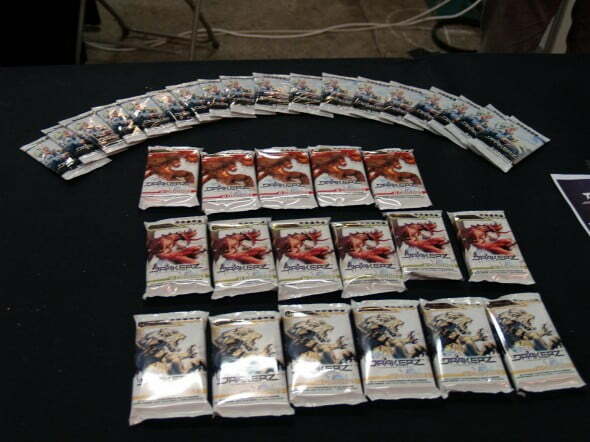 These cards, when displayed and scanned by a user’s webcam, summon Drakos (legendary creatures that will appear on a desktop arena and do battle against rival creatures). Codes, which appear on the Drakerz trading cards, create animated sequences on a player’s computer screen. Players simply present their cards to the camera and characters begin to appear. “We didn’t put backgrounds in, no special environments, so it’s completely all about the creatures,” developers explain in a press release. These creatures are what designing artists call a cross between a gargoyle and chimera, a creature of the imagination. The idea behind Drakos is to keep them small, much like companions (not unlike a real manifestation of popular Pokemon creatures, in fact). Nearly all of these creatures can fly, and are fully animated. They move and shuffle and breathe like real, mythical companions as players select moves from their deck of cards. Drakos duel in arenas against opponents. For those without a webcam, an online version is available that does contain environments and backgrounds, as well as the game’s signature moves and effects. “We came across some really interesting ways of doing things with the cards,” developers say. “Things that just aren’t possible with a notebook or a mouse.” This innovative title keeps track of doled damage and points scored, so, unlike similar alternate trading card games, Drakerz leaves players free to focus on combat and strategy. Beta users have reported that worrying more about movement and strategy is an original take on a card game, which can be notoriously droll in that players have to keep tabs on stats and numbers, detracting from the actual gameplay itself. Drakerz also boasts beautiful, decorative collectible cards; this means that Drakerz is also available to play offline, in the style of Magic the Gathering, as well. “After the successful launch last year in Europe, Drakerz Confrontation is ready to reach a new audience of U.S. gamers and trading card enthusiasts,” said Benoit Coupez, CEO of Peoleo Entertainment. 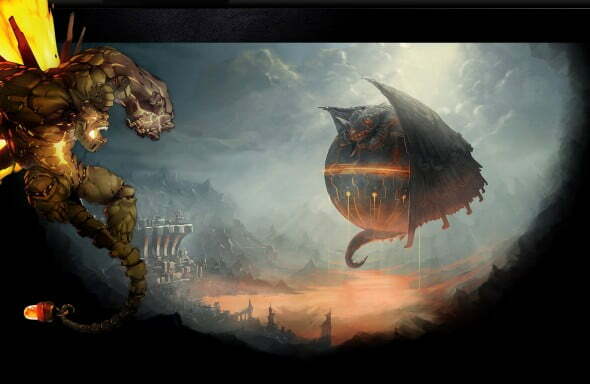 “Players will experience Drakerz Confrontation as it was meant to be played with physical trading cards powering exciting, immersive battles via augmented reality.” Drakerz Confrontation is also free to play online – players can log into their accounts and play from any PC with an Internet connection. In addition to multi-player mode, Drakerz Confrontation also offers up a variety of duels against the computer in the story mode. For players without a webcam, an entirely virtual version is also available. For players without a PC, the game can be played offline using the trading cards. Trading card games and collectible card games seem to be creeping back onto the gaming scene with a greater and greater following. The U.S. is a little behind the times when it comes to this new technology, however. Developers and artists at Peoleo used augmented reality to avoid referring back to games that made this genre popular. Filmed images overlaid to live webcam video is the way Peoleo’s development team hopes to stand apart from the wealth of other TCG’s out today. Developers feel that this is a great title not just for traditional collectible card fans, but also for video game enthusiasts who are more attracted to the detailed animation on online and console games. Players don’t have to be card enthusiasts to enjoy Draker Confrontation; to play this augmented reality game, available in the U.S. as of July 1st, all players need is a webcam and a deck. The sounds and environments available when players elect to play solely online (without physical cards or a webcam) are impressively rendered, vivid and polished. To read more about Drakerz Confrontation, check out our interview with developer Benoit Coupez here.